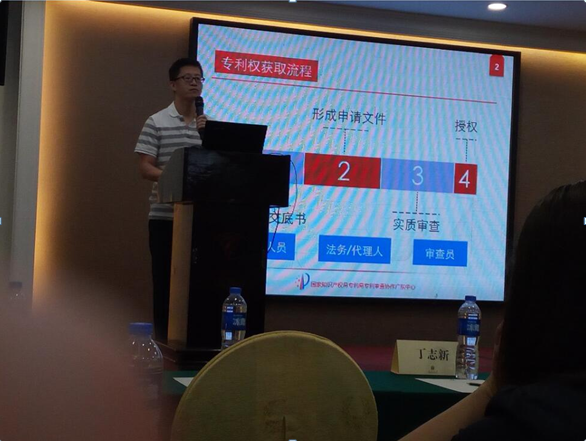 May 20 2016, we participated in “Patent promotes scientific and technological innovation and industrial upgrading” lecture, the lecture held by Zhongshan Municipal Science and Technology Bureau. The lecturer were Yao Zhengyang, Quchao and LiuShitou, they were the senior examiners in State Intellectual Property Office Patent Office review collaborative Guangdong Center. Patent navigation, is to analysis key technology and patent layout of the opponents, forming a patent map through patent information search. Then, put forward concrete measure and scheme that lead the development of industry and technology. The lecturer gave us a lesson with their own experience and we had learnt the importance of applying and protecting patent. We learnt professional knowledge and the lecture gave us confidence to improve quality of service.